It's unusual for me to be torn between sweet and savoury as the former usually wins hands-down. However, last weekend I found myself craving both! A nice crispy bacon 'butty' is one of my all time favourite weekend snacks - the freshly cooked bacon always offers one of those comforting homely smells. Another thing I love about bacon sandwiches is the speed at which one can be put together and then devoured (very handy for feeding unannounced guests at the cottage on weekends). 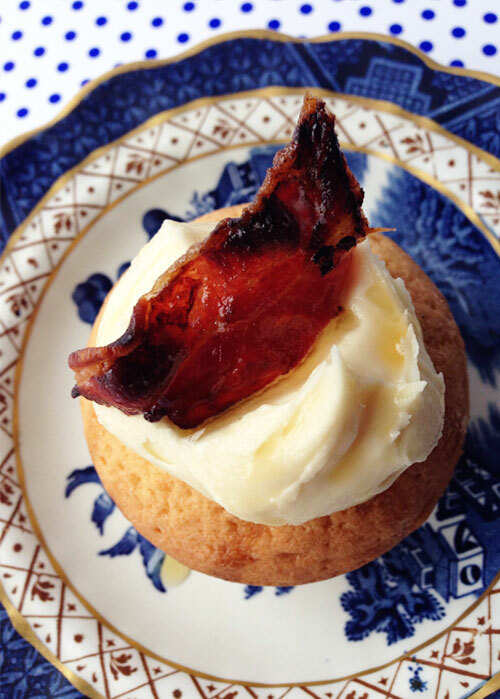 So in the spirit of keeping things easy, speedy, and combing sweet and savoury, I decided to make some bacon and maple syrup cupcakes. 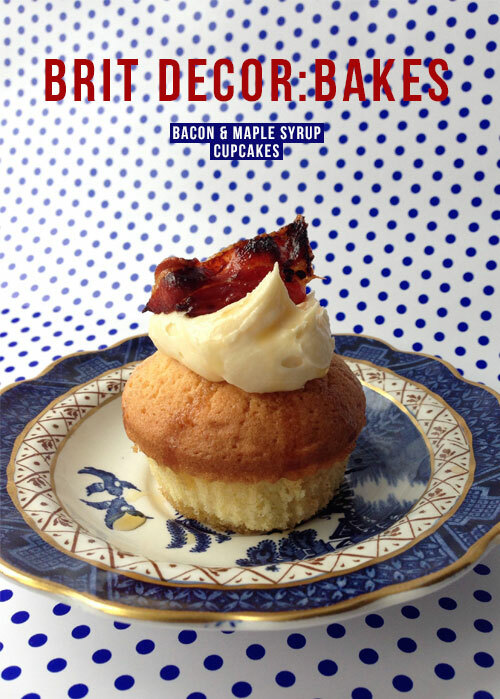 The fluffy sponges gently emit the mild spicy nutmeg and cinnamon flavours, which are offset perfectly by the sweetness of the caramelised maple syrup which coats the bite-sized bacon pieces and forms the central flavour of the maple frosting. Mixing bowls to the ready my friends! Preheat your oven to 180oc & line a 12 case cake tray. Place the softened butter, sugar, baking powder, salt and flour into a bowl and one-by-one add each egg, mixing as you go along. Then add the vanilla extract, cinnamon and nutmeg and mix together until you have a smooth and creamy batter. Add the mixture to the cake cases and place in the oven for around 18 minutes. 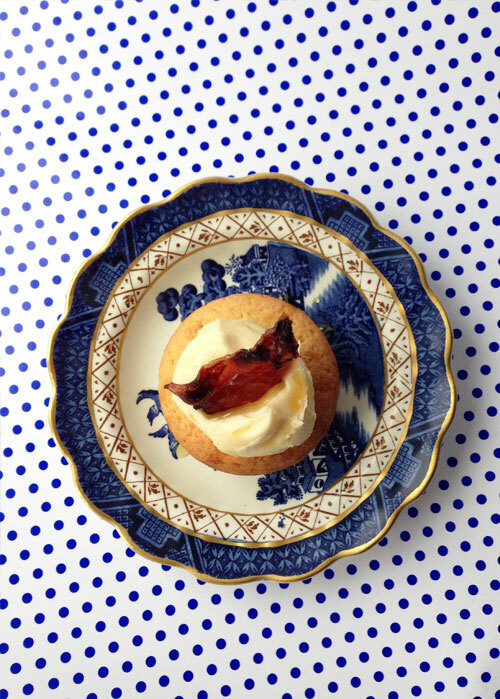 Whilst the cakes are in the oven, take the rashers of bacon and drizzle with maple syrup until coated. Then grill the rashers on medium heat until golden brown. Leave to cool. Once the cakes have been removed from the oven and cooled, prepare the frosting by mixing together all of the ingredients until these are smooth and creamy. Using a tea spoon, distribute the frosting onto each cake. Cut the bacon into small bite-sized pieces and place in each topping. Finally, drizzle some maple syrup over each cake and serve.